You have made the first step in becoming a part of the world's oldest and largest fraternity! Please complete the form below and a representative of Grand Lodge of Oklahoma will contact you and help answer any questions you may have. If you know what lodge you would like to join, please contact the lodge using the lodge locator. 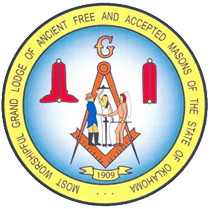 If you are unsure of what lodge you would like to join, please complete the form below and a representative from the Grand Lodge of Oklahoma will contact you and help you find a lodge. Click here to view the Lodge Locator to find the Lodge closest to you.